MISSION James R. Jordan Foundation International (JRJFI) is committed to building capacity in developing communities worldwide. Collaborating with local communities, we implement sustainable solutions to health and education disparities by connecting local challenges with global partners. We encourage and engage communities, sharing the resources, support and motivation that enable them to build their technical capacity and become more self-sufficient. VISION JRJFI believes the injustices and health disparities throughout the world can be not only lessened, but diminished through networks of collaboration. KWCWC James R. Jordan Foundation International (JRJFI), in collaboration with KWCWC and international partners including United States International University, USAID, the Government of Kenya, Johnson & Johnson, the Ford Foundation, and Kenya's Ministry of Health and Education, is developing, designing, and constructing a state-of-the-art Wellness Centre in Nairobi, Kenya. 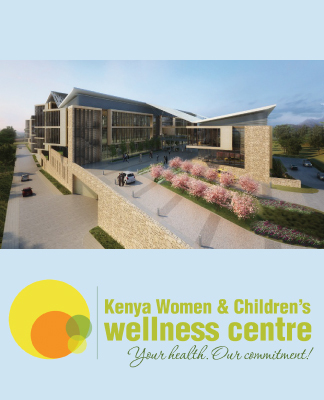 The Wellness Centre - the Kenya Women and Children's Wellness Centre - will be focused on improving Kenya's healthcare infrastructure, reducing the spread of HIV/AIDS and gender-based violence, and training the next generation of medical professionals to provide critical health care services to an underserved portion of the Kenyan population. James R. Jordan Foundation International (JRJFI) heeds the call to help heal. We acknowledge our duty to share resources. We understand the financial investment it takes to empower a strong people with sustainable infrastructure. We are committed to our responsibility for the global community. It seems fitting that the inaugural project of James R. Jordan Foundation International (JRJFI) is happening in Kenya. It was Kenya that provided me with a sense of comfort and spiritual healing during a tragic time in my life, the loss of Mr. Jordan. I am grateful now for the opportunity to give back to a country that has done so much for others. Those who know me know I advocate for a level playing field. This belief applies to my work on behalf of underserved schoolchildren in Chicago, and it applies to the work of JRJFI. We seek to come alongside global, developing communities, and help them to access that which they are lacking: be it food, water, quality healthcare or any number of basic human necessities. JRJFI aims to level the playing field for our international community, enabling them to become productive contributors to our global society. The women and children of Kenya deserve the same health resources that we in America take for granted. 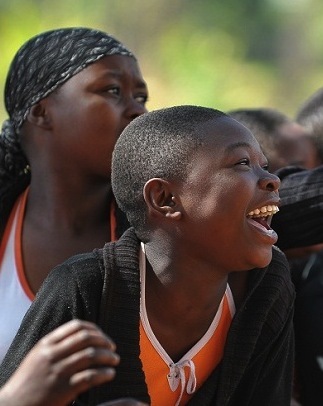 My heart breaks for the women affected by gender violence, and the children living with HIV/AIDS. Too many are forced to go without care and attention, and without additional outreach and education on these issues, the vicious cycle is doomed to continue. The work of the Kenya Women and Children's Wellness Centre extends beyond treating these problems - KWCWC also exists to prevent them. We are blessed with extraordinary partners who make this work possible. Together we are making a difference in the lives of the children, women and families of Kenya, and I pray that you will join us.